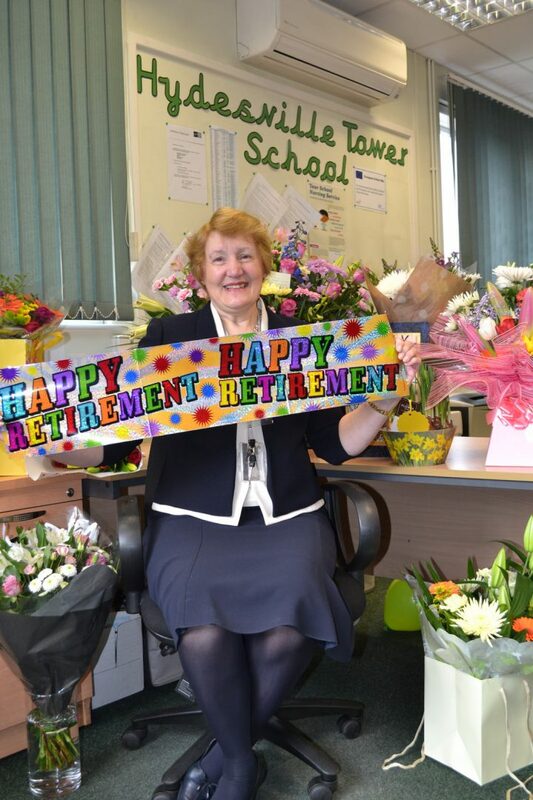 Today we say a fond farewell to Jane Davies who is retiring after 16 years at Hydesville. She has been a wonderful friend and colleague to all of us here and we wish her well as she looks forward to holidays in Switzerland and doing all the things she loves to do such as sewing and gardening. Mrs Davies had a wonderful send off today and a fond farewell from staff and children and we hope she will be our invited guest at our summer celebrations this year.